Great staff!!! Very welcoming and we had a blast! The one and only company to fly with! Great service and always coffee on the pot! ;-). 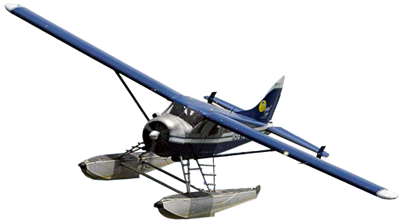 Our long time favorite floatplane partner in Alaska! Devon was an excellent pilot for my first time in a small plane. It was smoother than the jet to Alaska. Amazing views! I can't wait to go back someday! Top notch pilots, staff and management. Count on them to get you in and out safely! Regal Air is a proper name for this outfit. The best equipment and people for the job of taking you to the best of Alaska. The folks at Regal Air will take care of you. I just had to take a few minutes and thank everyone who made my trip to Brooks Camp the best experience of my life. It was great to share such a wonderful trip with my three sisters and daughter. Thanks for all the kindness, the flights, and most of all the pilot of the float plane. That has been a dream of mine for years. Just thought I'd message and say how great the flightseeing trip was! Craig ( I think that's his name) the pilot was funny, shared interesting facts and I felt safe with him. Thank you. Tony, thanks again for all your help last week! I really owe you one! You saved our trip. Your pilots, dock hands, and shuttle van girl were very professional, fun, and made it a great experience for us! We had a blast and I hope to see you guys next summer! I wanted to let you know how much we all enjoyed our fly out to Nickolai with Regal Air this earlier this month. Despite unfavorable weather conditions you made it possible to get there when many others couldn't. As a result we had a fantastic experience which was one of the highlights of our Iditarod Trip. I a sorry to say I have forgotten our pilot's name, but he did a wonderful job. Many thanks to you and all concerned. I hope to have the opportunity to fly with you again. My son and I visited Alaska in May of this year. We took two float plane and one wheeled aircraft trips with Regal Air while there. I must say your trips were well worth the cost and your pilot was very professional. Upon our arrival, we were to take the McKinley Trip, but your office was honest and said it is clouded in. We were offered that we could take the trip if we wanted, cancel our trip that day, or schedule another trip. We used your recommendation and took a glacier trip that I thought was even more outstanding. Again, thanks for all you did to make our first trip to Alaska one we will never forget. My name is Daniel and I recently used Regal Air on a flight-seeing tour up to Mt. McKinley. I just wanted to let you know we had a wonderful trip. Our pilot Gabe was extremely knowledgeable and gave us a lot of insight into the mountain range and Alaska in general. And he tolerated our many questions. In booking our trip I spoke several times with Tony. He was always accommodating and gave me detailed information on the various trips you had to offer. Many thanks to your staff for a fabulous and memorable trip. I appreciated all of their help. Just a quick note to thank you for organizing our amazing trip today. Please give a special thanks to Bill who did an excellent job flying us and John at Silver Salmon Creek who also looked after us brilliantly. The Mt. McKinley Tour was the highlight of my Alaskan vacation. I can't recommend it highly enough to other travelers. You guys were fantastic!! The day fishing trip my brother and I took with Regal Air was one that will not soon be forgotten. Your guides were extremely knowledgeable about angling the Alaskan rivers. We both limited out two hours before your plane came to pick us up, so we relaxed at the lounge and enjoyed a couple of cold ones on the deck. It was the perfect ending to our Alaskan Vacation, Thank You! Regal Air’s Knik Glacier Tour was the perfect end to my Alaskan vacation. I got to see so much beautiful scenery in such a short amount of time, I was amazed. Regal Air really does have a flight seeing tour to match every need imaginable. Brooks Falls was amazing; it was just as beautiful as all of the pictures I had seen. I couldn’t believe I was seeing bears in their natural habitat. Seeing a bear catch a salmon in its mouth fulfilled a lifelong dream of mine. I couldn’t be happier with my trip with Regal Air. I would recommend the Silver Salmon Creek bear viewing trip to anyone going to Alaska! The flight itself was great, and I still can’t believe how close I came to an actual bear; it was unbelievable!